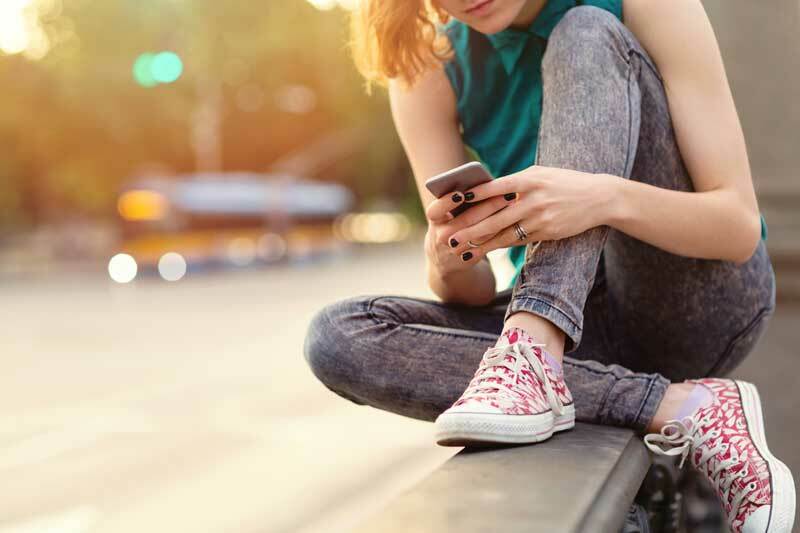 In these days where kids are ‘always’ on their cell phones, and parents are filled with anxiety about their children’s wellbeing – how can we foster strong, supportive connections? It starts with naming and accepting emotions with our whole hearts. Kristi Carson, Public and Community Relations Director at Emmis Media, interviews Joshua Freedman about the new book, Whole-Hearted Parenting and strategies parents can use to increase the peace and strengthen relationship. Listen here, or read the transcript below. Christy Carson: I’m Christy Carson. Welcome to Today’s Issues. My guest this morning is Joshua Freedman, a leading expert in the emerging field of EQ, also known as emotional intelligence. He’s the author of several books, including his latest which is titled Whole-Hearted Parenting. Today we’re going to answer questions like how can parents better connect with their children. How can we make parenting a little less stressful? And what is emotional intelligence and how do we access it? One thing for sure, there are a lot of us parents who find parenting quite challenging, and we need some advice. Joshua, good morning and thank you for joining us this morning. Joshua Freedman: It’s my pleasure. Christy Carson: Joshua, we’ve all grown up with the knowledge of IQ, intelligence quotient. But now the emerging field is EQ. What’s the difference between emotional intelligence and good ole plain intelligence? Joshua Freedman: [Laughs] Yeah, so, I mean it’s quite similar actually. If you think about the way we typically define intelligence, we say somebody’s smart. Well, it means they are accurate in the way they pick up that data and they use that data to help them solve problems. And so you can be smart with math, and you can solve math problems. You can be smart with emotions, and if you’re smart with emotions, you’re accurately picking up your own and others emotions and you use that emotional information to help you be really effective. Christy Carson: Well, I feel like many of us would tend to believe or say that we are emotionally aware of ourselves, but it sounds like you’re saying that most of us really aren’t and there’s work to be done. Joshua Freedman: Well, most of us have areas where we have strengths and weaknesses. And most of us are sometimes tuned into our own emotions and sometimes we’re accurate and we can notice what we’re feeling and how that’s pushing us. But I think a lot of us can confess to times when we act like emotional idiots, right? And we are over-reactive or under-reactive, or we get mad when really we’re sad. Or things like that, that lead us into less than ideal results with our work, with our partners, and with our kids. Christy Carson: Okay, so, what you have done is you have taken your 16 years as a parent and of course decades as an educator and also an expert in the field of emotional intelligence. You’ve taken this skillset and you’re now telling us that basically: if you are emotionally smart, you can really have a transformative effect not only on your personal happiness but also a profound impact on those around you. Most importantly, your children. Joshua Freedman: I would agree with all of that expect the emotional intelligence expert part. I mean, I’ve been doing this for 20 years but my kids will tell you [laughter] that I am not really an expert –I’ve written about it and researched it, but it’s something I’m practicing. And I wish I was better at it, and that’s a big part of why I wrote the book. How Does Emotional Intelligence Help Parents? Christy Carson: I think I read somewhere in the beginning of your book where you said that you realized that you were, when it came to parenting, sometimes an idiot! And you learned so much. Tell me more about this journey and how your journey is now helping us to have better relationships with our children. And paradoxically, at the same time I was teaching corporate leaders all about emotional intelligence, and thought, “Okay, well, I better take a dose of my own medicine here,” and really pay attention to my interactions with my kids and who I was choosing to be as a daddy. It turns out that’s a lot harder than anything else I’ve ever done. And as I said, I don’t have it totally figured out. I have teenagers now, which means new challenges. But I can say I’ve been able to have a much more positive relationship with them than I would have had otherwise. Joshua Freedman: Is it winter and snowy there yet? Christy Carson: [Laughs] Yeah, yes. Yes. Christy Carson: And this is a very, very important meeting that you have to attend. Joshua Freedman: And, doesn’t it always happen – the more important the meeting is, the more your kids desire to not wear shoes becomes a crisis? Christy Carson: It does! It does! And literally, and I have been in these situations over and over and over, and I will probably admit openly that I probably am an emotional idiot when it came to these. Because I have remembered moments where I truly broke down, got in the car, driving to Destination B and in full blown tears. Just tears, not rage, but just so hurt. Joshua Freedman: Yeah, and that morning was really not the way you wanted it to go. Christy Carson: Exactly! Feeling like a failure, like I can’t even control this little kiddo. But I guess that’s really what it comes down to, is us trying to control someone else. Talk to me about the process of becoming emotionally intelligent in a situation like that. Joshua Freedman: So the first thing is to recognize, as you said, we’ve all been in that situation. Me too. And we’ve all been there many times. And if we do the same thing that we’ve done before, probably it’s gonna result in the same negative outcome that, you know, that came last time and the time before and the time before. So, the first step is just to acknowledge to yourself, “Look, I need to do something different here.” And I think that’s one of the most important lessons in the book: as parents we have lots and lots of choices, and we can try different things. And some of them are gonna work and some of them aren’t. But the point is we’re gonna learn. That step is incredibly empowering. If you just look at the situation and say, “Okay. I tried this 37 times before, and none of those things worked, and I’m gonna try something new today and it may work or it may not, but I’m gonna learn something.” That’s really empowering. Joshua Freedman: The second thing is; what are you feeling right now? You’re feeling stressed, you’re feeling rushed. What’s your child feeling right now? I would guess your child is feeling very similar feelings to what you’re feeling, maybe stressed and rushed, just like you. She’s not being defiant, and she’s not being mean, and she’s not trying to mess up your day. She’s feeling very similar feelings to what you’re feeling. Does that change your perspective on the situation and what she needs? Joshua Freedman: And then what if you could just take a moment and acknowledge her feelings and your feelings? It really shifts the whole rest of the morning. Christy Carson: Right. So, you empathize with where they are and what they’re going through based upon your own experiences. And just allow that to marinate a little bit. Christy Carson: And then adjust, it sounds like. You know, there’s an adjustment in your thought processing and in the way that you choose to react to the situation. Joshua Freedman: Right. And I can’t tell you what is the way to react. What I can tell you is you have a lot of options. And try something. Try something different. It’s about experimenting to see what works. Start by acknowledging your feelings, acknowledging your child’s feelings, and then try something new. Christy Carson: So, Joshua Freedman, in your book, Whole-Hearted Parenting, do you indicate that there is difference in the way that we emotionally respond or even or children respond to us as they age? I mean, you hear stories all the time that when they get to be teenagers, like your children are now, their emotional intelligence level and their ability to connect, especially in this day and age where everything is telling us to disconnect, seems to be a little bit harder. I don’t know. Do you address that? Joshua Freedman: Have you ever noticed that you’re, you know, sitting around the table with a group of people or with your family, and one person pulls out their phone. And then all of a sudden everybody has their phone out? Joshua Freedman: You know, it catches. Christy Carson: It’s contagious! It’s the phone virus. Joshua Freedman: And then pretty soon you’re sitting there and nobody’s talking to each other. And I’ve seen this all over the world, by the way. I’m sitting in a restaurant, looking at a family or a group of people, sitting around the table not talking to each other. And I think, “Oh, what are those people doing?” And then I realize that we’re doing the same thing in my family. Joshua Freedman: And very often, I’m the person who pulls out their phone first. Joshua Freedman: So, I think a big piece of it is being willing to put that little media addiction aside for a few minutes. Maybe dinnertime is a device-free time. Maybe you play board games or something else simple and fun. I think the real secret to connecting with our kids, particularly as they get older, is being a little bit more honest about our own feelings and a little more accepting of their feelings. And that’s the idea of “whole-hearted” in the title of the book, Whole-Hearted Parenting. Letting your whole heart be present in this job, and accepting their whole heart. And if they’re grumpy, that’s okay. If they’re rolling their eyes at you, maybe that’s not okay, but the feelings that are underneath that are okay. We can accept all of these feelings by remembering: feelings are just information. Information about what’s going on with them. It’s information about what’s going on with us. We can listen to the information and not react to our own and other’s emotions. Christy Carson: So, what has been the result of you applying emotional intelligence, or having that intelligence, in your parenting skills? How has that blossomed in your relationship to your children, and quite frankly, to the mother of the children? Christy Carson: You told her what to do! Joshua Freedman: “Nice job Mr. Emotional Intelligence,” [laughter] But what I think is I’ve had more moments, and more days, where I can understand what’s really happening with them and with me. And make a connection instead of having a sort of surface reaction. And get off of auto-pilot. I think we’re on autopilot 95 percent of the day. We’re just kind of reacting and not really thinking, not really paying attention. And if we were able to just be a little bit more in the moment, a little more authentic, it would make such a difference. I feel like I have a very trusting and open relationship with my teenagers. I mean, they’re teenagers. They’re not easy, but I think we trust one another, and I just really like who they are. Christy Carson: So, do you believe that the inability to emotionally connect, first and foremost with yourself or be emotionally self-aware with yourself, and then being able to connect with others is one of the underlying causes of what I tend to believe is this community of raging people, or people who emotionally act out in negative ways because they have not emotionally connected with themselves or others? Joshua Freedman: Our research confirms your opinion there. We study emotional intelligence all over the world, in adults and in children, we measure this. And we look at the correlation between emotional intelligence skills and life success. We know that increased skills in being more aware of and connecting with emotions more effectively is correlated with better health, better well-being, better financial success, better career success. Unfortunately, we’re in a time where isolation is increasing, more people feel lonely than ever before. Stress is increasing, quite dramatically. And this combination leaves people more volatile and more disconnected. I think that’s a big cause of a lot of very negative behavior, and a lot of suffering. Christy Carson: I am so glad that you wrote this book, along with a lot of other books that you’ve written. And it’s all really good information, and I thank you for sending me my copy of Whole-Hearted Parenting. And when we come back, Joshua Freedman, I want to tell our listeners how they can learn more about your book, also your organization called Six Seconds, and the certification aspect that you have where you can actually be trained in this which is really, really interesting because most of the major, especially the techie companies, are using this certification and this training to have great success in their companies. So, we’ll talk about all of that when we come back, is that okay? Joshua Freedman: Sounds good, Christy. Christy Carson: All righty. Joshua Freedman, educator, author, specialist on emotional intelligence. More with him when we come back on Today’s Issues. Welcome back to Today’s Issues. Christy Carson with the author of Whole-Hearted Parenting: Parenting with Emotional Intelligence, Joshua Freedman. He’s offering tips on how we can better connect with our children and how we can help teach them to connect with themselves and then help prepare the to navigate this complex world with their emotions. So, Joshua, thanks again for joining us. Joshua Freedman: Thank you, Christy. You know, you just said something I just want to mention here. One of the best ways we can teach our kids these skills is by practicing them ourselves. And you just said: talking more about feelings. Christy Carson: And I know that that is somewhat true, but is it? Joshua Freedman: Well, you know, often people say, “Somebody else can’t make you feel anything.” And at some level that’s absolutely true. We’re each creating our own emotions. At the same time, we are social animals, and the reason we have emotion is it’s a form of communication with others. Emotions give us signals, and they tell us what’s going on in our relationships. And so, he is influencing your emotions a lot. Joshua Freedman: But he’s not controlling them. Joshua Freedman: He does have some responsibility, and you have some responsibility. Christy Carson: Okay. That was very well said, and I agree with you. Christy Carson: Very diplomatic! And I agree with you 100 percent. So, tell me about your organization, Six Seconds? Joshua Freedman: Well, on this topic of emotion: emotions are chemicals. And they actually go into our bloodstream. These chemicals are produced in our brains, and also everywhere in our bodies. And they go into our bloodstream and they affect every living cell in the human body, and they help regulate our organism. And would you care to guess how long those chemicals last? Christy Carson: Let’s see, one thousand one, one thousands two, one thousand three – six seconds! That’s a long time, though, if you count it out. Joshua Freedman: Well, they start going into the bloodstream and they start flowing around, and then after about six seconds all of that little burst of chemical is gonna be absorbed. They start influencing us in about three quarters of a second. Can You Test Emotional Intelligence? Christy Carson: I love that. I love that! So, how do you assess EQ? Joshua Freedman: We have a few different assessments, and there’re different approaches to this. The way we approach it is a questionnaire, and we have a couple different versions. We have a youth version and an adult version. And then we have one where you can have people give you feedback, and for little kids we have one where parents can fill in the questionnaire about their child. What this does is it helps you understand from your perception or others perceptions: how are you using your emotional intelligence skills right now? What skills are you good at? What skills are you not good at? What skills are you using really effectively? What skills could you use better? And it also tells you a lot about some of your preferences and your style and your talents and how you might use some of those more effectively. What’s interesting to me about assessments is when you can graph it, it makes it real for people. And so we have schools who use this. We have businesses who use this. We have individuals who use this. One of my colleagues says “You get what you measure.” So, if we start measuring this stuff, it puts people’s attention on it. We have a case study on our website about FedEx. New managers at FedEx take the assessment, get some training, they take the assessment again. Their emotional intelligence scores on average go up about 12, 13 percent. Their quality of life goes up a lot. Their effectiveness goes up a lot. So a little increase in emotional intelligence goes a long way. Christy Carson: Thank you again. And be sure to let everyone know, right now, how we can learn more about the organization, Six Seconds, and of course how we can purchase your book. Joshua Freedman: Thank you. Well, you can go to 6seconds.org (dot O-R-G, ‘cause we’re a non-profit). And there’s tons of articles and information that’s free there. And we even have free e-learning courses for parents and for teachers and for managers. And at the top of the page, right now there’s a button that says, learn about Whole-Hearted Parenting. Parents can go and get a free excerpt of the book and see if there’s some ideas there that help you. I think the book is full of little strategies and tips and ideas and a lot of stories about where I’ve kind of made a mess and how I’ve tried to make it better. And I hope it really helps you. Christy Carson: All righty. Again, that’s Joshua Freedman, educator, author, specialist on emotional intelligence, also co-founded and CEO of Six Seconds. Thank you for joining us. I’m a mother of 3 kids.I have a problem and that’s I cannot control my emotions when I am angry,and the way I behave is very bad..I want your help….I want to be a good and loving mother towards my kids.Please do help me…. I have a very trusting and open relationship with my 3 daughters, also. Mine are not easy, either, but I really like who they are. I would like to read articles on bringing up teenagers.